We had a really strange fight to get the Jave runtime to install on a client's Vista Business SP1 laptop. Note that the install .msi file is not in a temp folder but under its own subfolder. Just in case we emptied out the Temp folders both under the user's profile and under the %windir% to no avail. 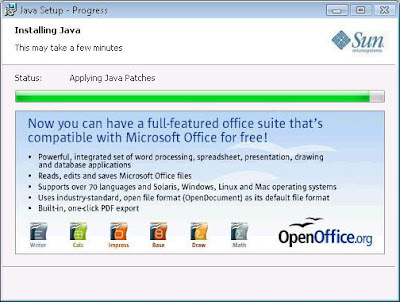 We went to the Java Manual Download page and downloaded the full Offline version for Windows. Still we did not get anywhere. 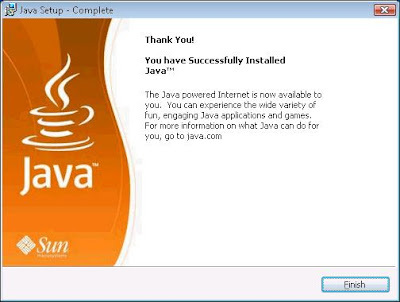 A bit of searching turned up the following in Sun's Java forums: Java Install / Autoupdate - Help Please:J2RE Installation fails - "Internal Error 2755. 1624, ". We followed each suggestion as we progressed down the various posts. None of them worked until the post by JimDenver on 09/18/07 to start the .msi install from the folder listed in the error. The install kept going until it hit the "Registering Components" phase. Then it just sat there. We left it alone for about 5 minutes which was an abnormally long time for an install on a laptop as powerful as the one we were working with. One of the notes in the forum posts talks about antivirus or antispyware blocking the install. So, we brought up the Task Manager and sure enough for every CPU cycle the Windows Installer was taking up Windows Defender was taking up twice as much. It looked as though there was a competition going on between the two. Just to make sure the Windows Defender blockage did not cause any further issues, we went to the Verify Java Version page and ran the test. We were given a successful install of Java 1.6.6 page! My huge thanks to you! This solved my problem!! I was about to pull my hair out! And the contractors that will "chat" with you at Java wanted $75 for installation tech support! Ouch! I am very thankful for Google and THIS post!